International students can be confident of finding the right English language school in Ireland, with a number of fantastic schools offering courses for all ages and ability. English schools in Dublin offer excellent facilities and high teaching standards, ensuring students are ready to take their next big step in life. But students don't flock to Dublin only for the teaching, it is also the wide variety of activities and adventures which can be found away from textbooks as to why it the city is so popular. 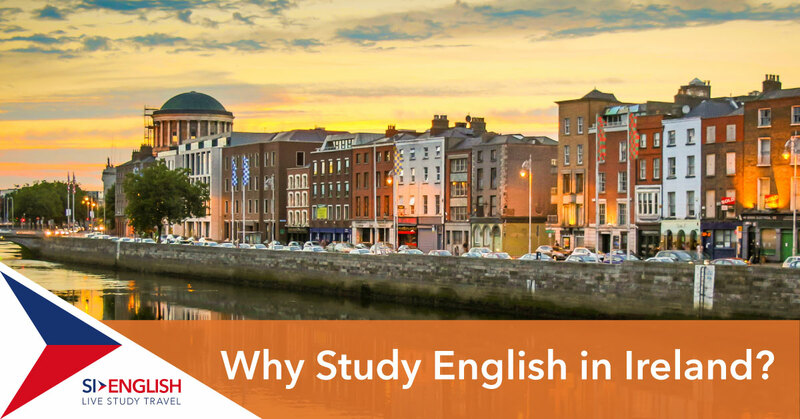 Learn more about five fantastic reasons to study English in Dublin below, and get in touch with SI-English today to get your application started. Using our 100% Free Service, we can guarantee you an offer letter from an English school in Ireland within 24 hours of your application being submitted! Ever tried a pint of the black stuff? The first stop for most people when they arrive in Dublin is the city’s number one attraction, the Guinness Storehouse. A visit will teach you everything you ever wanted to know about this world famous Irish Stout. The National Museum of Ireland will take you back in time with its treasure trove of prehistoric artefacts from all over Ireland, and Europe. Go back in time and learn more about Irish art, culture and natural history. Spend the day taking in animals of all shapes and sizes from around the world at Dublin’s famous Zoo. Located in the centre of city, you’ll find giraffes, zebras, tigers, hippos, chimpanzees and red pandas! The fourth most popular attraction in Dublin is AquaZone at the National Aquatic Centre. Enjoy the thrills and spills of its many different slides! Ireland is a country full of heritage and history, and there are a wide variety of day trips you can take from the city to see it all. Brú na Bóinne is a World Heritage Site and one of the most important Megalithic sites in Europe, Kilkenny is home to the grand Kilkenny Castle and Cormac’s Chapel at the Rock of Cashel in County Tipperary is a significant piece of Christian history. If you are interested in studying English in Ireland, apply with SI-English today. We can help you apply and guarantee you an offer letter from a school within 24 hours using our 100% Free Service.